IBPS SO Main Exam Result 2019 is now available online. The Institute of Banking Personnel Selection has released the IBPS SO Main Exam Result 2019 on its official website. The institute conducted the IBPS SO Main Exam Result 2019 on 27 January 2019. Candidates, who had appeared for the IBPS SO Main Exam 2019 are advised to keep scores available on the official website. How to download IBPS SO Main Exam Result 2019 online? Simple steps to check IBPS SO Main Exam Result 2019 are as follows. Step 2: Click on the IBPS SO Main Exam Result 2019 option. Step 4: Check IBPS SO Main Exam Result 2019. IBPS SO Main Exam Result 2019 is now available online. 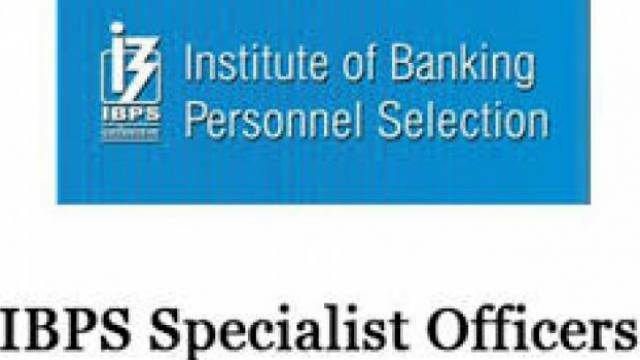 The Institute of Banking Personnel Selection has released the IBPS SO Main Exam Result 2019 on its official website. Candidates, who had appeared for the IBPS SO Main Exam 2019, are advised to keep scores available on the official website.